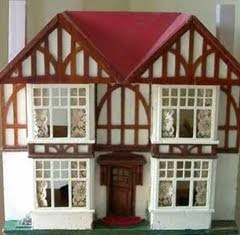 Dolls House Fair Bank Holiday Monday Not THE Thame Fair! 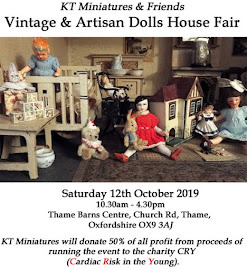 I have received a number of emails and phone calls over the past few days asking if the Thame Dolls House Fair advertised to take place at Thame Leisure Centre next Bank Holiday Monday is anything to do with the wonderful annual February fair and if I am having a stand. 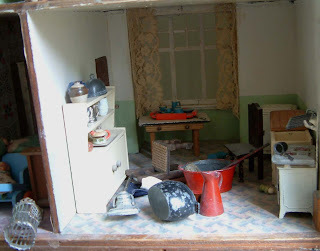 I can categorically say NO, this definitely has absolutely no connection with the Thame Dolls House & Miniatures Fair which takes place every February and sorry no, I will not be having a stand at Monday's event. Bit Of Fun- Madame Aimee Zing! 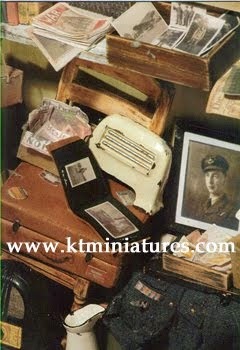 I have now been a member of MTM of Thame since 2002 (local miniaturist club here in Oxfordshire) and very rarely do I ever get to start, let alone finish a club project due to there never being enough hours in the day, as my time is usually totally consumed with KT Miniatures work, family and life! In fact I am ashamed to say that the very last club project I actually completed was a shop front based on the local coffee house here in Thame and that was back in 2004!!! The club's 2010 project of a seaside stall was set months ago and I envisaged,as like previous years, it would be another non starter for me as time is so limited but on the spur of the moment decided to take a day off and spend an entire blissful day making for pure fun....(I'm not kidding, have not done that for years)! 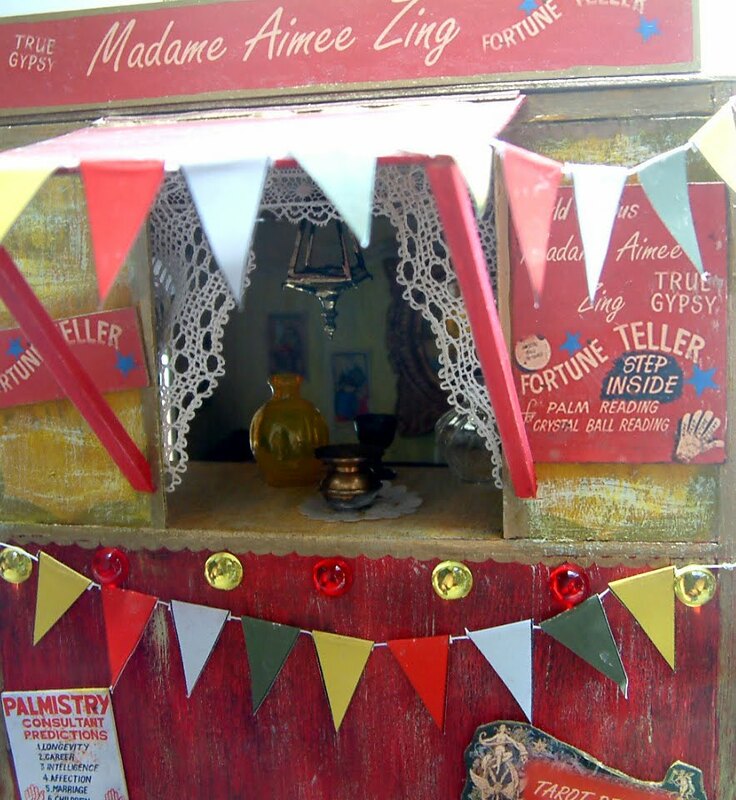 It is not quite finished, needs some tweaking but here it is anyway ....Madam Aimee Zing - A Seaside Fortune Teller's Kiosk. I know it sounds a bit corny but hey....what the heck! It has been great fun to do. I was presented with a basic wooden structure of a simple stall consisting of a back, a base and counter front which a husband of one of the club members made for everyone and our brief was to make it into a seaside stand/shop/kiosk. I never thought to take a "before" photo but bit late now, never mind. After a scan on Google under various headings such as gypsy caravan, fortune teller etc, managed to get the ideas flowing. Then I simply got my paints out, cut card to fill in the walls, raided my "bit box" that has accumulated over many years and made it up as I went along. A gold gel pen also proved invaluable. I thorougly enjoyed making this so much that I have vowed to take more days off where I just "make for fun" in the future. The entire club project will be on display at the 2011 Thame Dolls House & Miniatures Fair next February. Freddie Is In Disgrace - My Poor 1930s Hobbies House ! 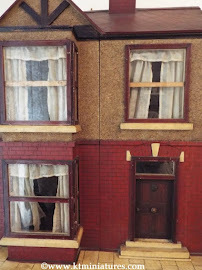 Oh dear..... my 14 week old kitten Freddie somehow managed to get into the back of my beloved Hobbies 1930s dolls house the other evening and cause utter mayhem with my wonderful mini antique treasures! Luckily the damage on that first occasion was mostly limited to the kitchen. Treasures that have withstood the test of time (over 70 years mostly) have luckily just about been able to withstand the playfullness of a kitten. The worst of the casualties though, was a 1920's-30's German hoover....ripped away from the main body. How most of the china stayed intact on the dresser I don't know but I have yet to find a missing teeniest wooden egg in an egg cup (should have been three, now only two)...........seriously, I think he may have eaten it! My Hobbies house is open at the back and sits on a turntable. In anticipation of Freddies arrival, this house had already been pushed right up close to the wall but somehow he still managed to get through a 3” gap at the back? I have been meaning to create a false back from Perspex for ages now, to help keep the dust out really.....so looks like this job is going to have to rise higher in priority on my list of to-dos! But hey...guess what, even though the house has now been pushed right up against the wall with absolutely no gap at the back whatsoever, Freddie apparently decided that he was going into that house once more. My husband last night, alerted by a strange noise, found Freddie hopelessly trapped in the Hobbies house front doorway! 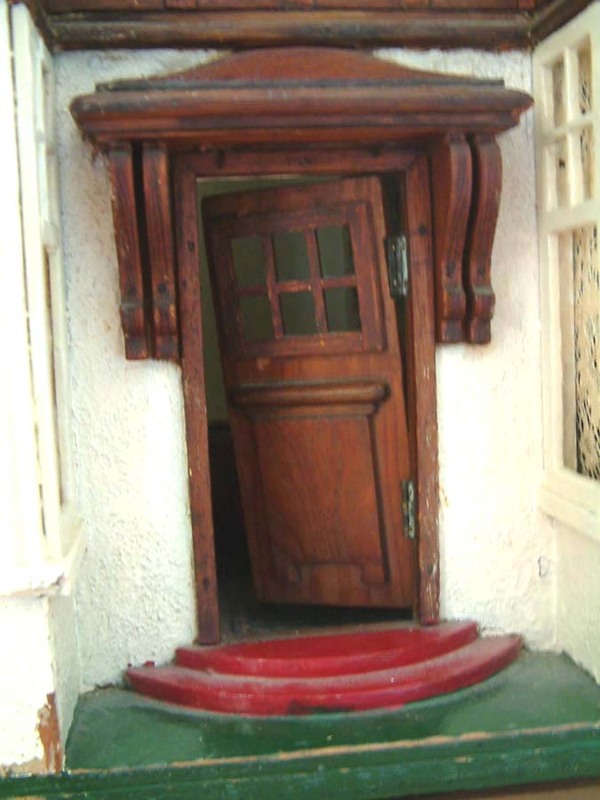 Now let’s just say that the bloomin’ front door is hanging off its hinges. (Yes thats Freddie in pic). 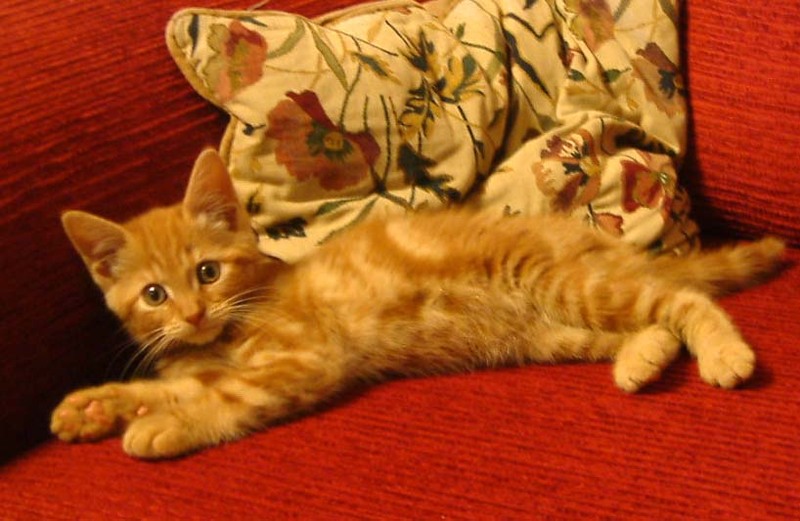 I refuse to put my house away for the time being and this kitten, like any young child, is going to have to learn that my 1930s Hobbies house is out of bounds for him.....but I think the learning curve is going to be a long and painful one! Anyone else had this sort of problem?